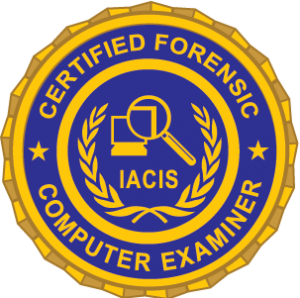 The IACIS Mobile Device Forensics Training Program is a 36-hour course of instruction, offered over five (5) consecutive days. The program is designed to provide students with intermediate to advanced skills to analyze and interpret data during cell phone investigations. This course goes behind the popular tools currently in use to reveal the sources of cell phone data used to store evidence. At the completion of the course students will be confident in knowing they can gather and explain all data they have located during their examinations. Students should have some experience in conducting cell phone examinations. Students will learn how to acquire cell phone data, and the different types of techniques to obtain the most relevant data. Students will become familiar with accessing locked iOS and Android devices using a variety of techniques including: bypassing software, flasher boxes, and an introduction to JTAG, ISP, and Chip Off. Students will learn and practice bypassing current Android OS limitations, allowing a physical image from a phone running Kit Kat and higher. There are multiple hands on practical exercises which include using custom recovery and rooting Android phones to bypass locks. These methods allow for a full physical extraction of the devices which commercial tools cannot gain access to due to operating system restrictions. There is some usage of both Windows command line and Linux to conduct the practicals. All the commands and options are explained in detail and no previous command line experience needed. Students will learn through hands-on exercises how the file systems are laid out in both iOS and Android, allowing them to find the data they are looking for quickly and be able to interpret it. This knowledge will carry over to new releases of the operating systems; ensuring students can continue to stay current. Validating data obtained from forensic tools, including data that tools miss – learn to interpret and recognize data from apps phones use. Students will be able to take any application found on a phone, and be able to recognize, interpret and report on its data. Examples of apps include KiK, Photovault, Snapchat, and the other thousands of chat applications available. Students will learn and conduct both manual and automated SQLite recovery methods, ensuring success in their future exams using various tools. NAND Ram Architecture and storage, carving data from those spaces – learn how cell phones store their data at the physical level, which allows the carving of deleted data and recovery of data from damaged phones, or phone data which has been extracted via methods such as JTAG, ISP, or chip-off. Viewing and interpreting iOS files such as plists to obtain valuable evidence. Using Wi-Fi data as part of investigations. CERTIFICATION: Attendance at MDF entitles each member to one attempt at the ICMDE Certification process. The attempt must be completed within the calendar year of attendance at MDF. Further details as to the timeline for certification will be provided upon completion of MDF and upon beginning the ICDME. Apply for membership and purchase the course on the PRODUCTS PAGE.